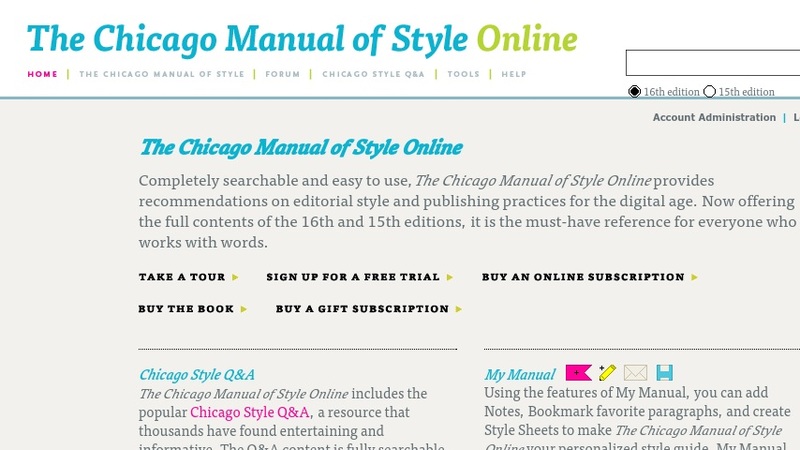 In 1906, the first edition of The Chicago Manual of Style was published by the University of Chicago. Over the past one hundred years, the Manual has been revised and edited fourteen times, and is now in its fifteenth edition. On this site, visitors may register for free and gain access to the search tool for this latest edition. While this feature is certainly helpful, there are a number of equally useful aspects of the site. The first is the area that gives a number of examples of Chicago-style documentation, such as the humanities style and the well-known author-date system. Equally helpful is the "Q&A" section where the editors answer such timely questions as "If someone has a PhD and is a professor at a university, is their title Doctor or Professor?"